Melissa lives in Downtown Albuquerque. 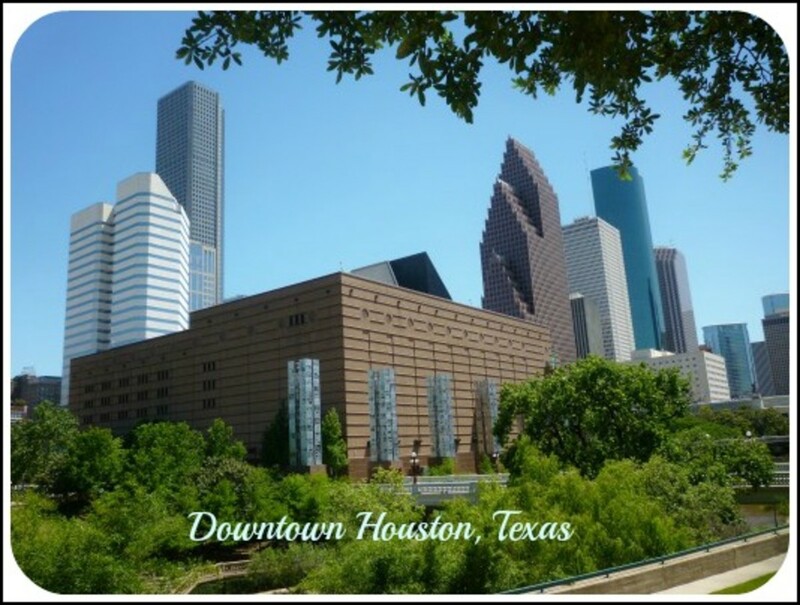 She loves sharing her local discoveries with fellow travelers and explorers. Not everyone loves abstract art. 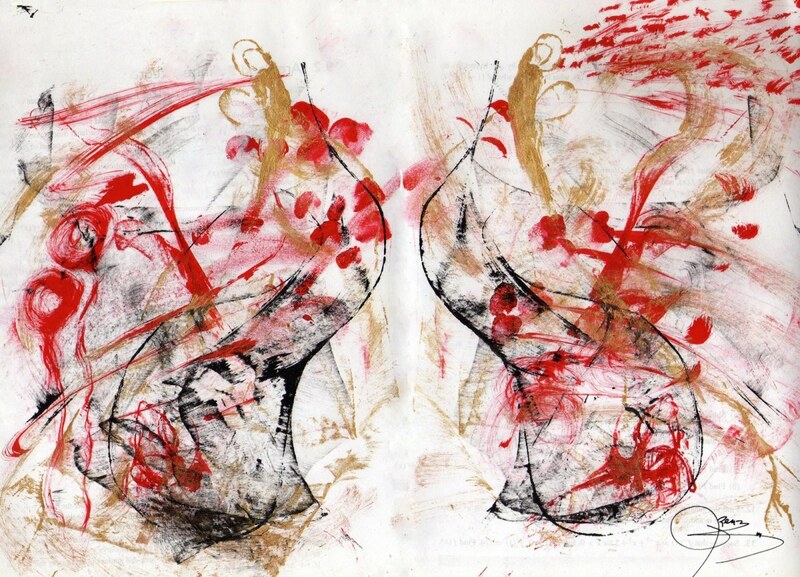 However, abstract art can be an acquired taste if you make the effort to look more closely at the work and connect with some part of it. It is also important to know that just because something is abstract, or not easily recognized as an object or scene in daily life, doesn't mean it's fine art. 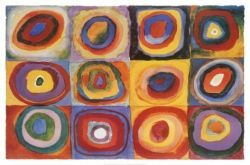 There are many artists that paint abstract works that are merely decorative---in some cases, the recent craze for circle, dot and square art is an example of this. I made this a simple process. I tried to make understanding abstract art as simple as possible. That means I left out a lot of details about actually making art, color choices, media choices (paint, crayons, pencil, etc.) and much more. I did that on purpose because in my humble opinion art should be enjoyable and thought provoking and it shouldn't have a lot of rules. It may have been created to be provocative, to explore an idea or in response to something the artist is inspired by. The truth is sometimes abstract art doesn't mean a darn thing. It can be created because it is a popular pattern or look for the moment. Those types of art can still have meaning for someone. That is why an artist makes them---because their expression inspires others. For instance, I rather like the square on square, circle upon circle abstract art that is popular right now. It reminds me of getting organized, stacking like things together or the layers of personality and beingness in people and situations. I would hang this square/circle art style somewhere I wanted to be reminded to get orderly---like my office or my kitchen or near my closets. What you may not know is the original painter was Wassily Kandinsky. What you see today are artists copying, paying homage to or being inspired by Kandinsky. Wassily's work is deeply esoteric and metaphysical and he often used music to inspire and motivate his work. He wrote freely about his work and his texts are easy to find, if you care to read them. Why art is or was made may not matter to you, but it may help you understand the reason others like it and want to buy it. Art is not created in a vacuum. 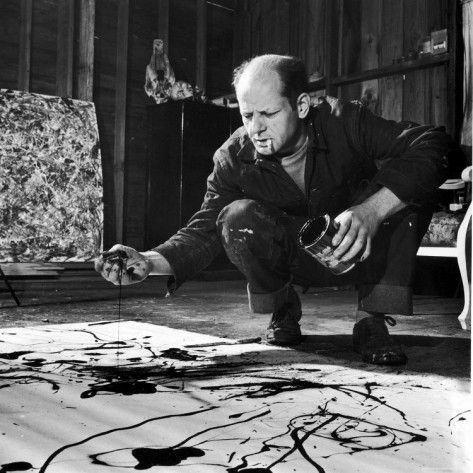 The best way to begin understanding abstract work is to find out about the artist. Often you will discover that they worked in an industry that inspired them, had an experience that triggered their desire to paint, draw or sculpt, or they grew up around art and artists and certain styles that they like to invoke or visually examine. Artists may also write or talk about what inspires them. Reading about or listening to them can enlighten you about how to read their work. For instance, Piet Mondrian is a well recognized abstract painter, but he didn't always paint in that manner. Knowing his career history and what drove him may help you better understand his color grids. Seeing the work in person and up close helps too. Mondrian varied the thickness and textures of lines and shapes to make them appear closer or further away. His works of the 1930's and 40's reflect the jazz music he was inspired by and hold a vibrancy that mimic the movement and feeling of the music. These particular works almost vibrate when you see them in person. Mondrian, as many artists may do, created his own set of principles to work within and referred to his work as Neo-Plasticism. 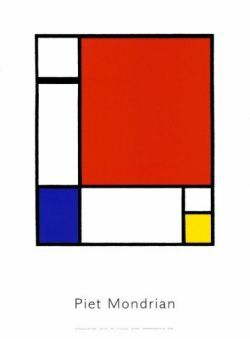 He set as his parameters a white background, painted a grid of horizontal and vertical black lines and used only primary colors--red, blue, yellow. 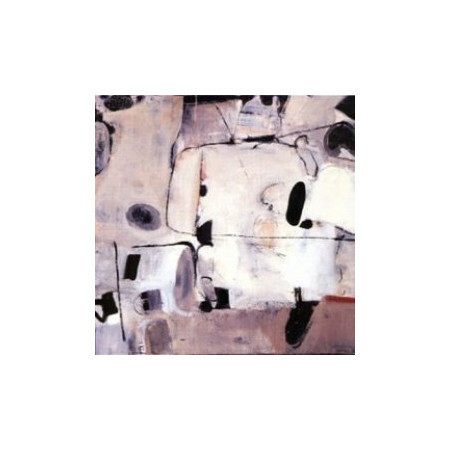 In his case, the abstract was meant truly as abstract---the shapes, lines and colors were not meant to represent anything in particular (his work is often referred to as non-representational) and yet it does express. Although the title may help you discern the subject matter, Helen Frankenthaler's "Ocean Drive West No.1" is an abstract piece I love to look at. It evokes memories of blue ocean and childhood vacations. I love the deep blue, the streaks of red that could be boats, a long sliver of road or an island in the far, far distance. I recognize something in this piece that has meaning for me. 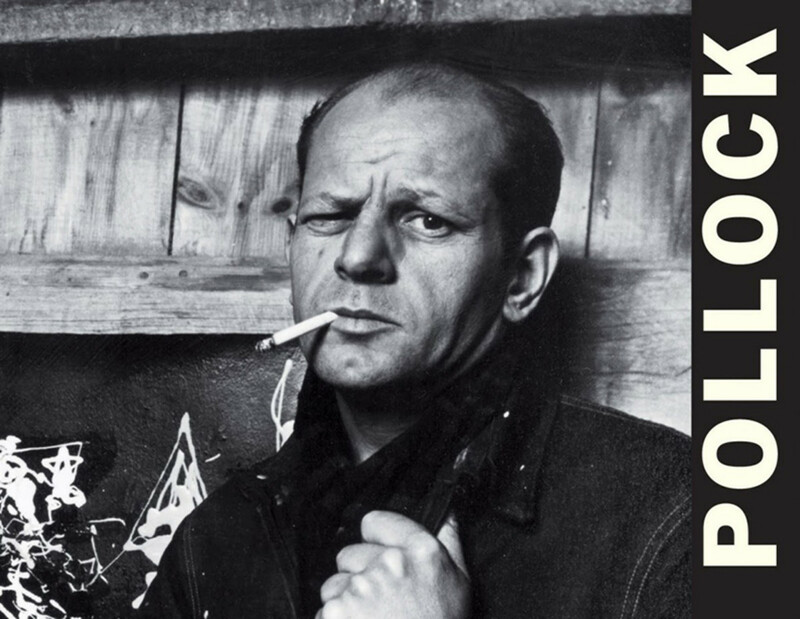 If you don't have access to the artist or books about the artist, then you begin understanding by looking and identifying what YOU know and can connect with. Understanding often has more to do with your own interpretations than being told what you are looking at. 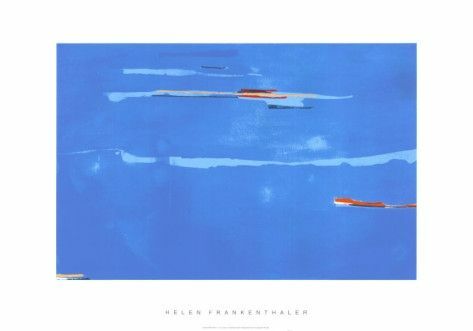 So, begin with the most obvious thing in the work---the most obvious thing in the Frankenthaler work is the color blue, so that is where you start. What does the work look like to you? Is there something it resembles, something from your childhood, your present life? Is there a point where you can enter into the work, a place on the work that looks visually interesting to you? 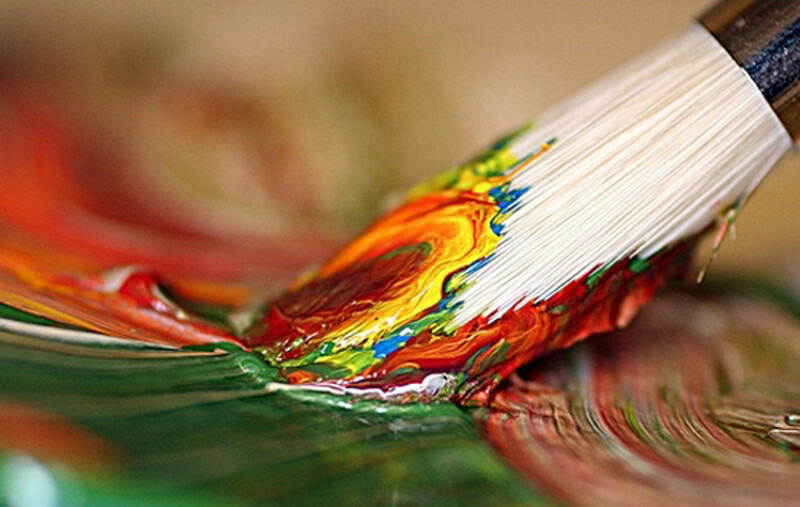 Look for a stroke of paint, an overlapping of colors or shapes or a color that draws your attention. Does it look different when you are three feet away and viewing the piece than when you are 20 or 30 or 40 feet away? Abstract art is much like life. If you don't get the bigger picture, you can get lost in the details and never know the larger part of yourself. Our existence is one big storytelling project. We tell stories to ourselves, our families and partners, our co-workers and to friends and people we may not know at all. We tell those stories in the clothes we wear, the hobbies we have, the jobs we perform and the things we do from day-to-day. We also tell stories with every word we speak or think. Stop and listen to the topics you talk about or think about all the time---what story are you telling? 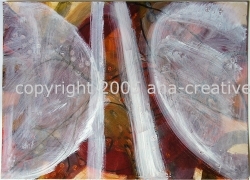 Abstract art also tells a story---any story we want it to. So, what story is the art telling you? That story can change over time, in an instant or next week----it depends upon you. For instance, the work above is mine and it is called "Ideas Waiting to Be Born". 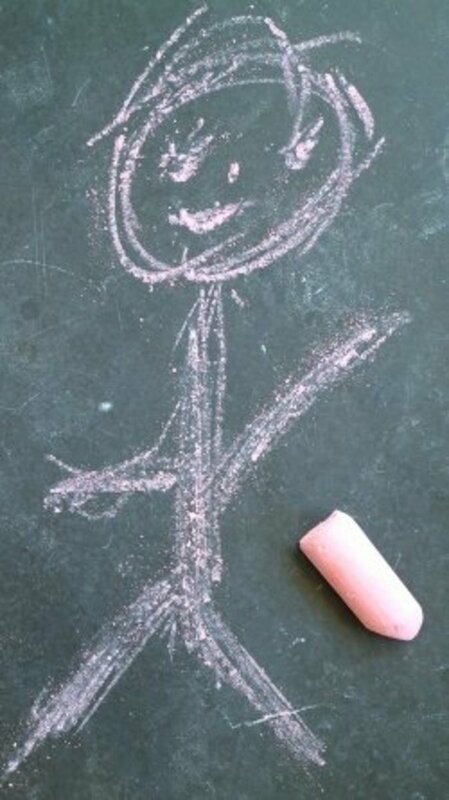 It tells the visual story of the pathway an idea uses to manifest after it comes into existence as a thought. The dots in the piece are the ideas (some are small right now and others larger depending upon their growth and place in time), the two straight lines are separating the two largest ideas ready for manifestation. You can tell, because the lines begin to narrow toward each other, that the two ideas will merge at some point. I didn't know that was the story until I finished the piece and began to look at it. Do you see another story in this work? Abstract art requires a viewer to think outside the norm and stretch his or her mind to reach new ideas. Anyone can do that, but many won't.